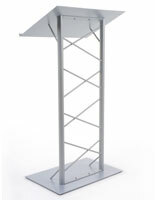 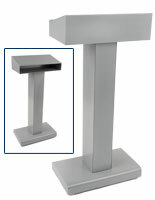 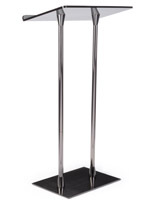 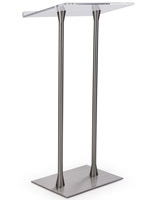 These modern silver podiums are made of durable aluminum with a sleek anodized finish. 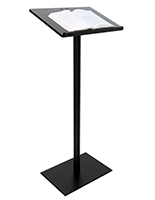 Each of the floor standing lecterns features a clear acrylic reading surface that measures 18.5" x 13". 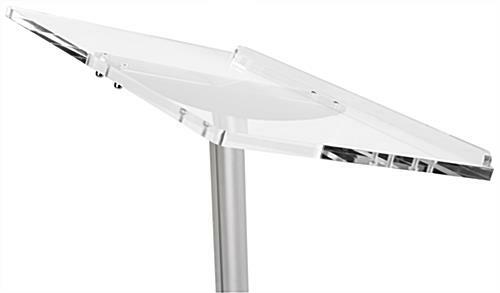 In addition, the silver podiums feature 1" tall book stop that prevents laptops, notbooks and other presentation materials from falling off. 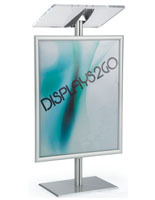 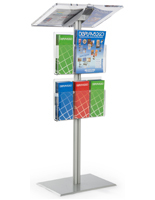 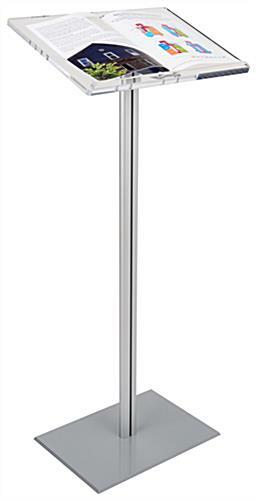 The sleek polished aluminum and clear acrylic stands feature an attractive contemporary look that goes with any auditorium, church or restaurant. 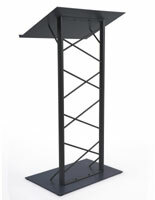 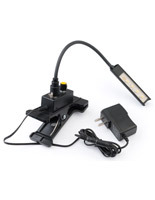 This type of floor standing podium ship unassembled to save on shipping, but they are easily put together.